Got your truck stuck ? No problem. Get out of off-road trouble with our Billet Machined T6 High Torque Mega Winch. 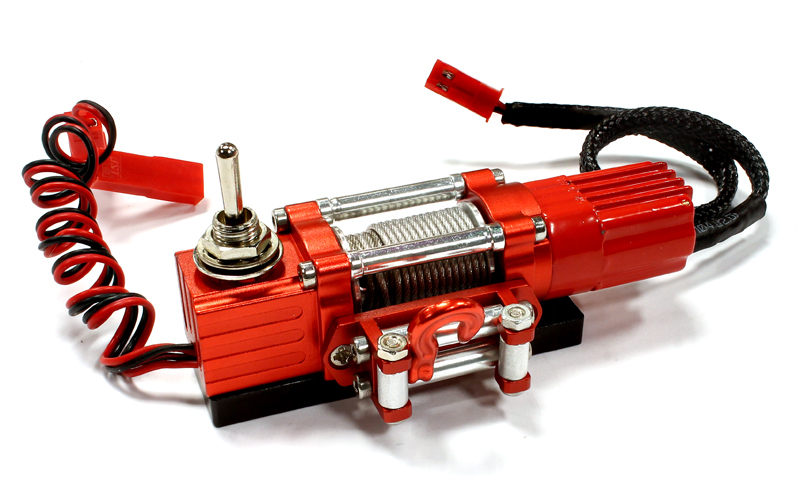 The 1/10-scale sized winch features a high-torque motor with aluminum heatsink, Billet machined alloy case, steel winch cable and hook, and a pre-wired case-mounted toggle switch. The Mega Winch is available in black or red anodizing.